Congrats! This project has reached its minimum needed of £500 and is going for its target of £4,000! Using our civil engineering and architectural experience we build facilities for people in Zambia who would never normally have access to them. 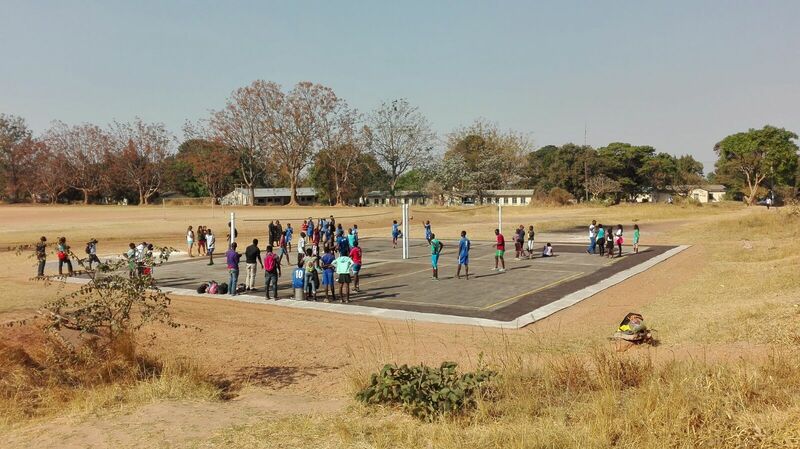 Outdoor sports courts, latrines and changing facilities can transform a community. They provide a place for exercise, socialising and competition. They turn a patch of dirt into the thriving hub of a town where people of all genders, ages and abilities can come together in safety and comfort. This is something we've been doing for the past three years with great success. Now we need your help to make a difference to the lives of thousands more people across Lusaka and Zambia. The facilities we build could last for 20 years or more, but the social benefits could impact several generations of Zambian people, young and old. Please give generously - your donation makes a real difference. We are a team of 4 Civil Engineering and Architecture students from the University of Bath. Our project is student-led and we are responsible for fundraising and organising almost everything. The Wallace Group, formed in 2006, is a partnership between 8 UK universities. They have a shared vision of the power of sport, education and leadership. 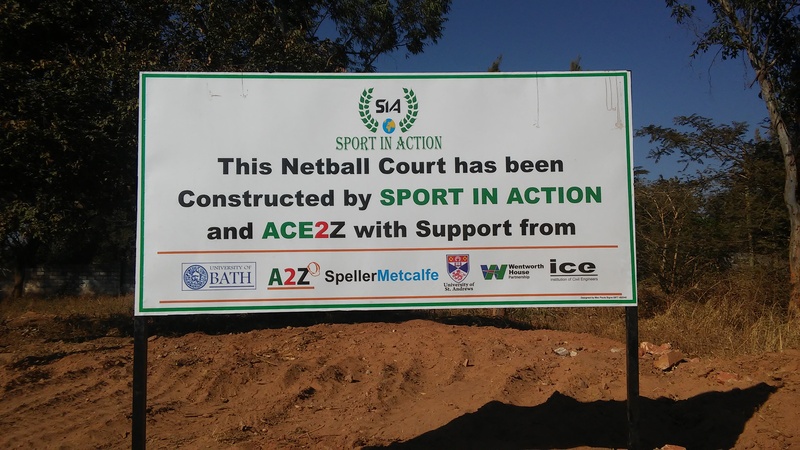 Sport in Action, an NGO, work on the ground in Zambia to improve the quality of children's lives through sport. We will be overseeing the design and construction of new sport-related infrastructure and the maintenance of existing facilities. In the past, these have included several sports courts, changing rooms and rural latrines. For 6 weeks we will be sourcing construction materials, engaging contractors, managing our sites and overseeing the completion of our projects. The main benefit of our projects will be to enable Sport in Action to continue their tremendous work in improving children's lives through their sport leadership programmes. Bath students' work in the past has gone a long way to serve this purpose. 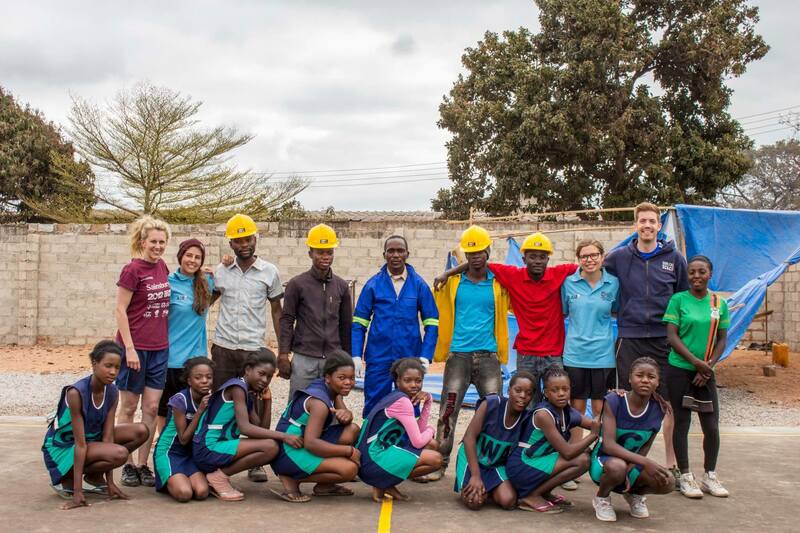 For example, the team in 2016 built 2 volleyball courts, a netball court and a beach volleyball court - the first ever in Zambia! The photo below shows the volleyball courts in action. We are raising money to pay for the construction costs (including materials, labour and equipment etc.) and our personal expenses (flights and vaccinations etc.). The first £2,400 raised on this page will go towards the construction fund. Anything raised after that will go towards our personal expenses and be shared equally among the team of four. Every donation will help us achieve our goal of building sports facilities in disadvantaged communities. Thank you for your support!